Rare Bird Books, a Vireo Book, 9781945572661, 288pp. We're born with a finite number of opportunities. Attrition, bad choices, misspent goodwill, and fucked-up luck. The opportunities dwindle through a process called living. Our portfolio of prospects turns into a tattered novel of outcomes. Orphaned by a brutal car crash, a young man lives with no plans for the future. Leaving his small town of Windstop, Iowa, he finds his way to Seattle, where he ends up broke and sleeping in a homeless shelter. There he meets Ray-Ray, an Iranian with a shadowy past, who inducts him into a criminal underworld. When Ray-Ray disappears, the young man is left to fend for himself through carrying out clandestine drops for cash from an anonymous source. At first, it's perfect: living without the responsibilities of a real job or a proper home. But then the scope of his travels widens to Europe, Brazil, and China, leading him deep into a conflict of international proportion. Soon, he finds himself targeted for death, but from whom or for what reason, he's not sure. The only thing that he's sure of is that if he wants to survive, he needs a plan--now. Because at noon, they're coming to kill him. 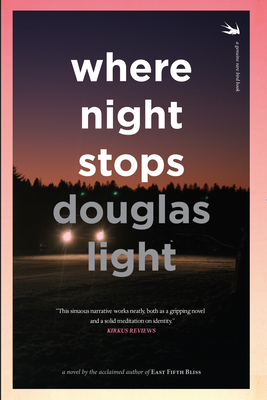 Douglas Light is the author of Girls in Trouble, which won the 2010 Grace Paley Prize in Short Fiction. He co-wrote The Trouble with Bliss, the screen adaptation of his debut novel East Fifth Bliss. His work has appeared in the O. Henry Prize Stories and Best American Nonrequired Reading anthologies.